Poll: Will you be buying an Easter egg this year? IT IS EASTER week, the most important period in the Christian calendar. The religious celebration is marked by people buying each other chocolate in contrast to the abstinence associated with Lent. The buying of Easter eggs has been synonymous with the festival but questions have been raised this year about amount of plastic in Easter egg packaging. So whether it’s a religious tradition for you or not, will you be buying one? Email “Poll: Will you be buying an Easter egg this year?”. 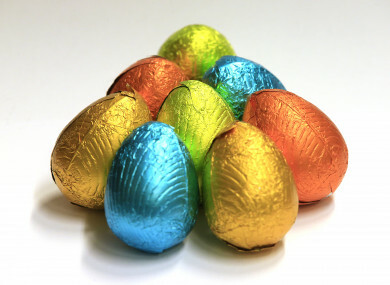 Feedback on “Poll: Will you be buying an Easter egg this year?”.